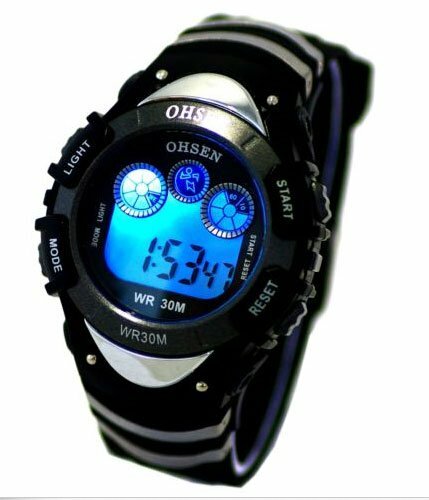 This popular boys digital watch has 7 stunning colors for backlights face with digital readings of day,date and a built stop watch. 60ft water resisitance. The digital watch is mounted on a resin body with a black trim and completed with a comfortable black resin strap. For the sporty boys lifestyle with features that are straightforward to operate. The Digital watch has the added advantage of being water resistent. If you have any questions about this product by OHSEN, contact us by completing and submitting the form below. If you are looking for a specif part number, please include it with your message.